Saiku Chart Plus is an open source project that helps Pentaho BI users to create other types of charts and maps based on Saiku Project, Highcharts and Google Maps. Developed and maintained by IT4biz team since 03/12/2013, it is been released in its RC4 version with good news for the Pentaho BA server users: Saiku Chart Plus is available at Pentaho Marktplace. Thanks for the help @webdetails team and @SaikuAnalytics team in this process. Uninstall your Saiku version and install again the last trunk snapshot, this is really necessary! 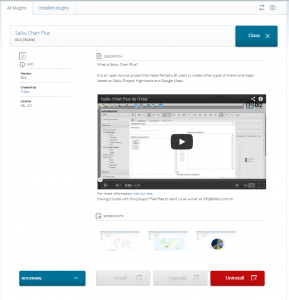 Then install the Saiku Chart Plus (all in Pentaho Marketplace). Obrigado por sempre prestar ajuda a comunidade. Se Possível, depois grave um tutorial passo a passo de como fazer esta integração. Sobretudo para usuários iniciantes. Thank you for always assist the community. If possible, then record a tutorial step by step how to do this integration. Especially for novice users.